You must be a member of the Sofia Sports & Health Group to attend this activity. Would you like to join this group? 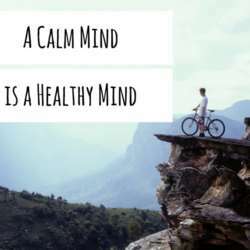 Samatha (Sanskrit), Shyiné (Tibetan) means quality of mind which is developed by calming it. This is done by practicing single-pointed meditation, most commonly through mindfulness of breathing. During Samatha the whole focus is on a particular subject, image, etc., the goal is to maintain concentration without distraction. The practice will be led by a student of the Tibetan teacher of meditation and Buddhist philosophy Péma Rinpoché, founder of the Bulgarian meditation center "Palyul" (palyul.eu/bulgaria). The practice includes: theoretical and practical meditation activities and breathing exercises. Do not worry, you do not need any experience neither in meditation, nor in breathing exercises. Basically, everyone can join the practice. The practice lasts 60 minutes. Wearing comfortable clothes is preferable.